Paradise Omeros explores feelings of not belonging, and the special state of mind that can arise in a person that lives in and in-between several cultures. Images of the sea recur throughout the work-glitter - ing water and waves that roll over before receding again. As viewers we are transported with the waves between the 1960s and the present, and between the Caribbean island of Saint Lucia and London. 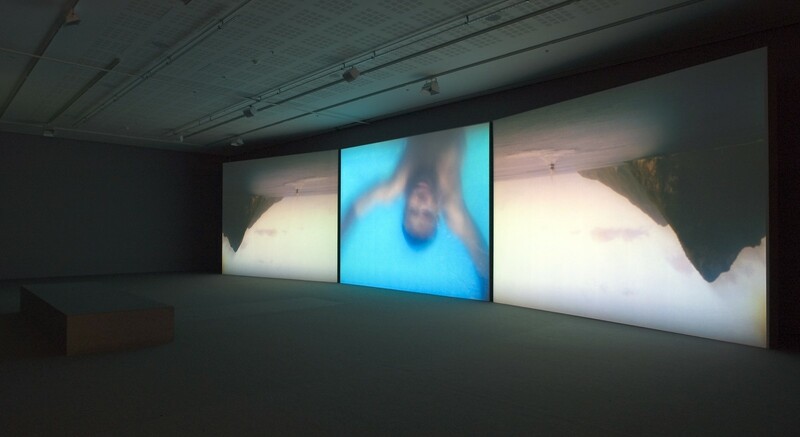 The three-channel video installation is named after the epic poem Omeros (1990), written by Saint Lucian author Derek Walcott. The text adopts subjects and characters from Homer's Iliad (dated to around the eighth century B.C. 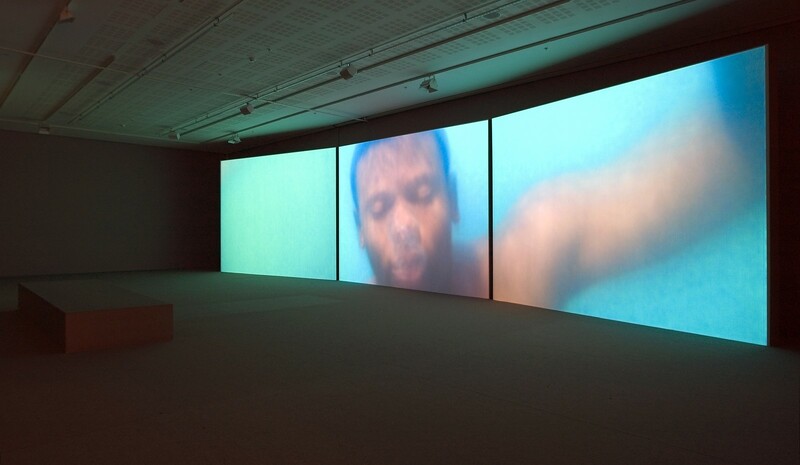 ), but portrays the tragedy of the African en - slavement and the suffering that comes with exile. 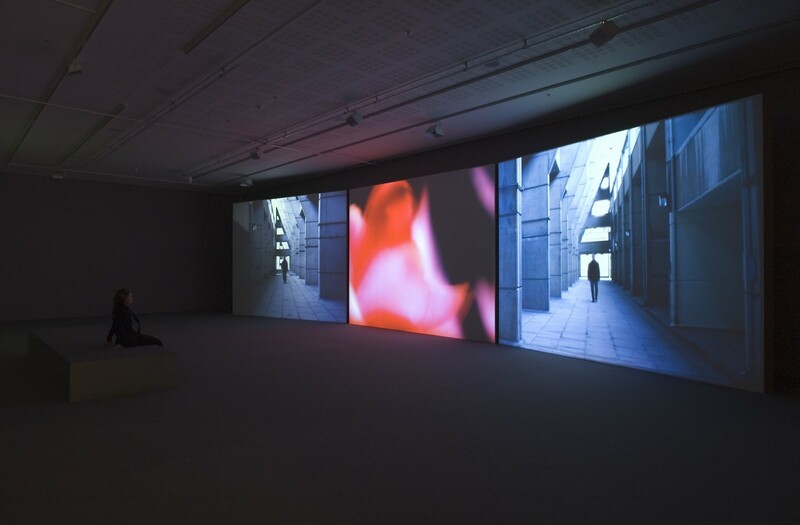 The main character, Achille, is recast in Julien's deeply personal work as the artist's alter ego. In dreamlike fragments we glimpse his parents' strong desire to assimilate into British society, and his own two-fold sense of alienation as a black immigrant and gay man. A key scene plays out in what appears to be Achille's parental home in a London suburb. Dressed-up couples twist together to John Holt's The Tide Is High. Blacks and whites intermingle, dancing together. The scene breathes joy, eroticism, and the promise of a bright future. But in the background of this middle-class idyll, we simultaneously see how Achille is punished for speaking Creole. "English! English!" roars his father, as he strikes his grown son across the back. Images of the ocean serve, throughout the work, as a reminder of the African diaspora, of the slave ships and the colonial armadas. On two different occasions, shamanlike men appear on the Caribbean beach wearing rings on their fingers, spelling the words LOVE and HATE. They speak to us in Creole, a language engendered by the slave trade and French colonization of the West Indies. Their mysterious presence adds yet another layer to this cinematic meditation on how love, fear, alienation, and hatred move like waves over an ever-changing sea that divides us but also holds us together.